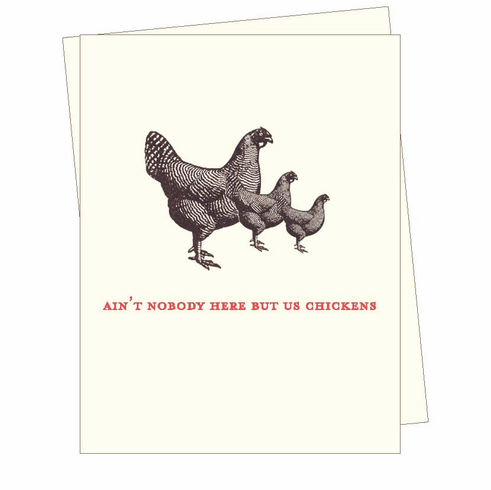 "Ain't nobody here but us chickens" reads the outside text, inpired by the Loius Armstrong song. It is paired with a vintage illustration of three proud chickens. Blank inside.